Undefeated pound-for-pound king and unified light heavyweight world champion Andre Ward has announced his retirement from boxing. Ward, 33, confirmed his decision Monday morning in a statement released on his website. Last month, Ward (32-0, 16 KO’s) confirmed his contract with HBO was up, but he also added he was still with promoter Roc Nation “100 percent,” despite rumors that he was jumping ship to Top Rank. A 2004 Olympic gold medalist, Ward has not lost a fight since he was a 12-year-old amateur. He said at the post-fight press conference following an eighth-round TKO of Sergey Kovalev in a June rematch that he was seriously considering a move up in weight to cruiserweight or heavyweight, but that never came to fruition. 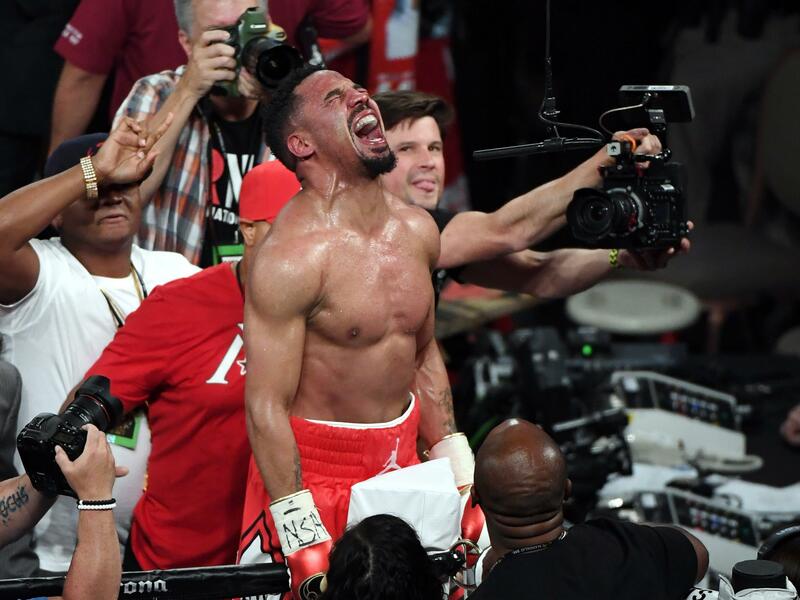 Ward scored a controversial unanimous decision victory in November to take Kovalev’s three 175-pound world title belts, but the American made “No Excuses” and left no doubt in the sequel. It was the final stamp on an incredible career for Ward, who goes out on top of the sport, following his most impressive performance.